With the festival season upon us – is it fair to say we have a festival season when we have festivals throughout the year? – the Tucson was called in for a number of duties this month. Taking the family shopping in the gridlock that we call Diwali was one of those tasks, and with its fantastic automatic gearbox and huge boot, the Tucson was an excellent choice for this. What’s even better is the auto hold function of the electronic parking brake, which makes dealing with bumper-to-bumper traffic much easier. Another useful feature is the noise isolation from the incessant honking that goes on our roads – the resulting peace and quiet can be quite a wonderful thing, especially after a long day at work or on the road. 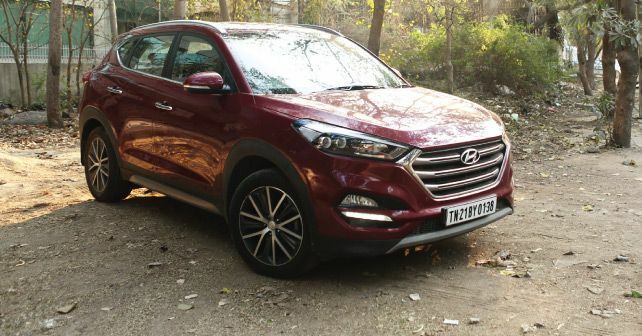 Of course, with the massive traffic and the resulting slow speeds, the fuel efficiency of the Tucson did drop a bit, giving an average of 10.5km/l. However, on the solitary long-distance trip that I went for this month, the Tucson was back to its regular efficiency level with the on-board display indicating a very healthy 13km/l. For a car of its size, that is very good, especially when you consider that I tend to use the 180-odd horse and 400Nm of the car quite liberally.